Chania Airport is called 'Chania International Airport Ioannis Daskalogiannis' and is located in Akrotiri region at a distance of 15 km east of Chania. 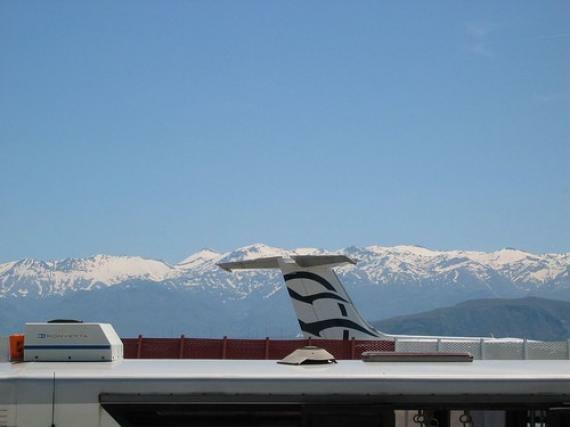 The airport is connected to Athens Eleftherios Venizelos International Airport with many flights operating on a daily basis by all kinds of airlines on inbound and outbound flights. It is also connected directly to other cities in Greece and many international destinations, especially during the summer that Chania airport is filled with tourists from all over the world looking forward to live their dream in Greece and get as much of its amazing sun and sea as they possibly can. At the end of 2012, Ryanair, one of the top low-cost carriers in Europe, announced it would open its first base in Greece at Chania in April 2013. The air carrier from Ireland operating more than 26 direct flights from European airports to Chania, offers the opportunity to hundreds of thousands of Europeans to fly to Chania at a low cost and enjoy the hospitality, the beaches, the archaeological sites, the culture, the food and the weather of Chania and the whole of Crete as it is something that it is not easy to find. Chania International Airport has it all and more importantly your every inquiry is answered by the staff of the airport that is always friendly and will be there for you to assist you at all times. Be aware that when travelling in Greece there is not a thing that you cannot solve as you will be amazed by the hospitality of the locals that have the rumor to be unbelievably hospitable. On your arrival you will find many taxis to take you to your hotel accommodation or in the case that you have booked a taxi or you have rented a car from the various car hire agencies this will make it much easier for you so that you will not have to wait for your transfers. The local bus will most probably serve you well as there is public transportation, however it is always best to book your own car in order to see as much as you possibly can from the amazing Perfecture of Chania!